Following the usual procedure I added lye to the oils and when the mixture reached light trace i added white clay, mixed it lightely and then poured Coco butter fragrance. 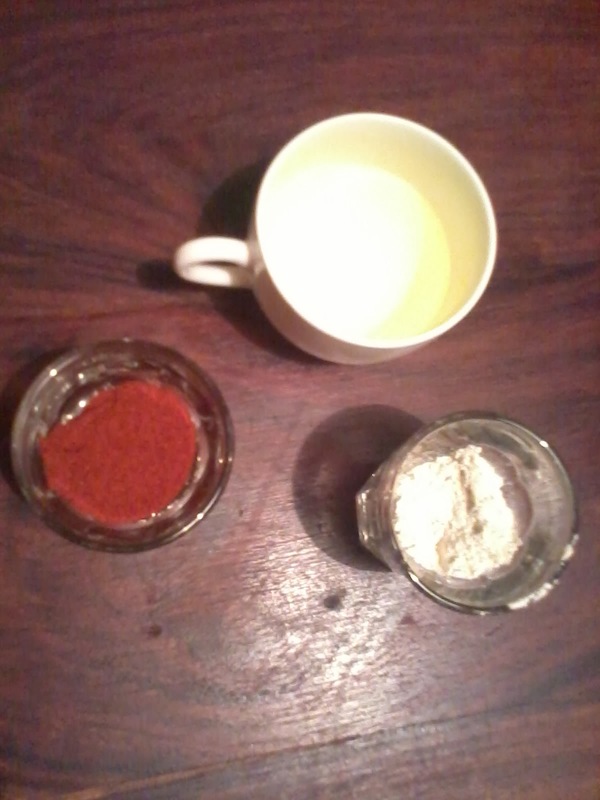 And then something happened that has never happened to me before, soap started to get a bit grainy and I still had to separate one third of it and add red pepper to it for color, because I wanted to make 3 layered soap, with a bit of red in between. I worked quickly and mixed it some more with my stick blender in hope it would get smoother, but not much could be done. 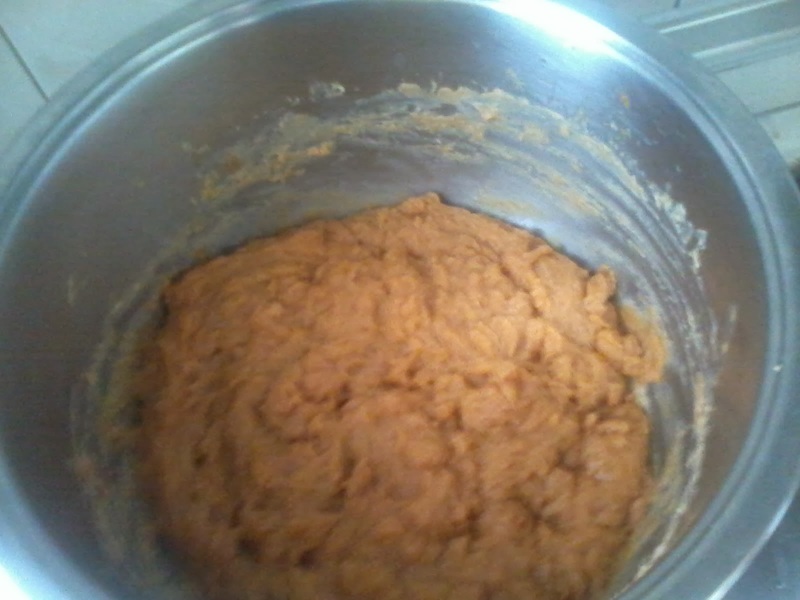 It was grainy, sort of like mashed potatos and oily, as if FO was not fully incorporated in the soap. 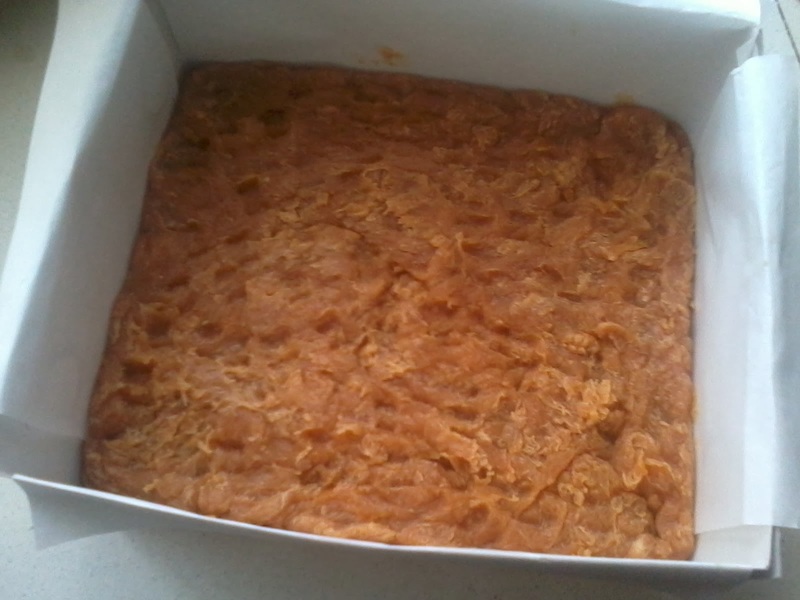 So I poured it in the mold, insulated it and still hoped for the best. No such luck...The next morning my soap has hardened, but there was oil on top and all around it, in fact - the lining paper was soaked with it. So I went on Internet in search of an explanation and after reading a few articles and a lot of comments on Soap Making forums, I figured what happened was probably caused by fragrance and it was probably what they call "separation", maybe even combined with "ricing'. Separation happens when fragrance oil doesn't get fully incorporated into the soap mixture and drops of oil separate from the batter and it looks like that's what happened with my soap this time. Ricing can also happen after you add fragrance to your soap. According to Soap Queen, ricing occurs after some ingredient from the frangrance oil reacts with some of the harder oil components and they form small rice like lumps. Acceleration is again something to blame on fragrance. It occurs when frangrance significantly speeds up the trace of your soap batter and therefore makes it very difficult to work with. If acceleration occurs and you keep mixing it it might seize, turning into a very thick and hard batter that you can't easily put into the mold. If you know that certain fragrances you use behave badly in soap making, there are things you can do to try and avoid these problems, like making sure not to discount the amount of water in your recipe, lightly warming frangrance oil with some of the oil from your recipe before using it and gently mixing it with spoon and not with a stick blender. However, if some of these disasters happen to you don't despair. 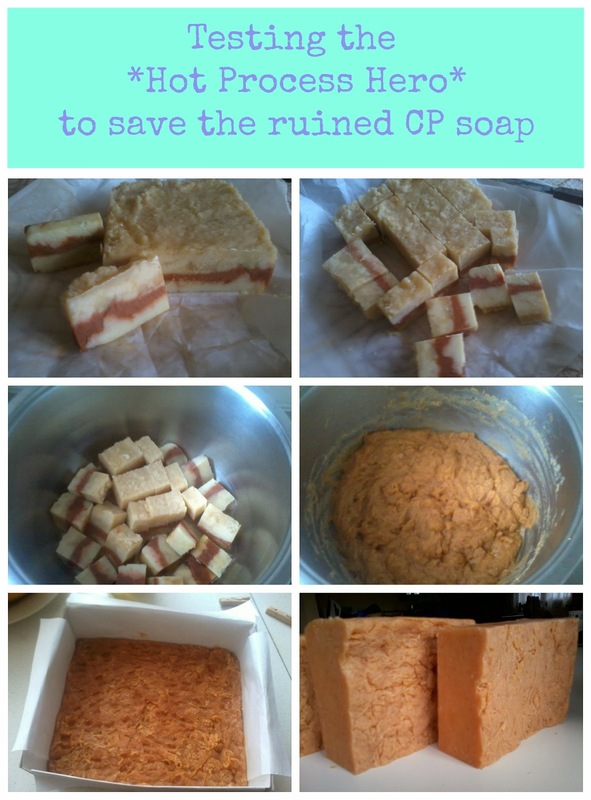 You won't have to throw away all those great ingredients you used in your soap. You can wait untill the soap has hardened in the mold and rebatch it, but I wanted to avoid all that grating, so I followed this Hot Process Hero by Soap Queen, which is something you can do even if your soap is still soft and fresh. 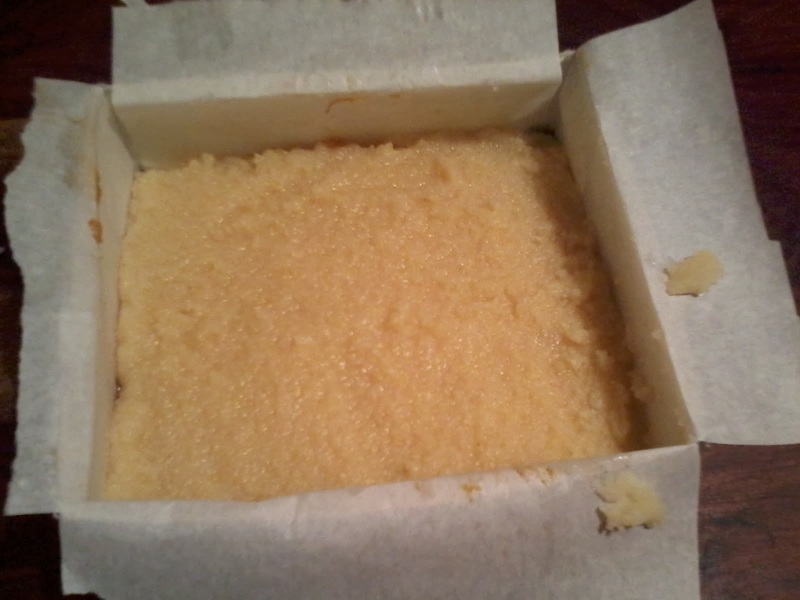 I unmolded and cut my soap into small pieces, put it in a pot, added some more FO and let it simmer on medium heat, stirring every once in a while. Soap Queen says that once it is processed this way, soap is ready to be used after you unmold it because you have cooked ph down to a soap level. 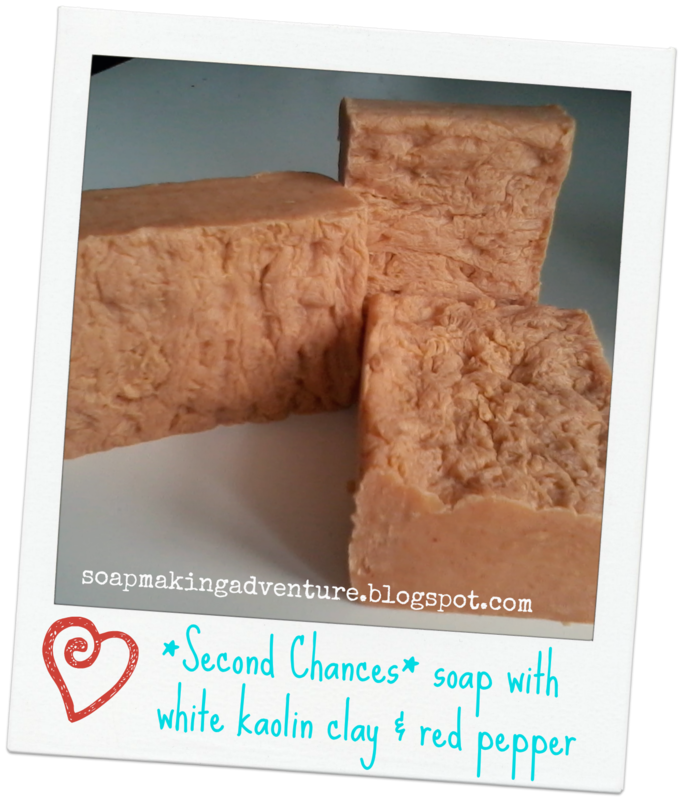 Red pepper gave it a lovely orange color, there were no air pockets, it was a hard bar of soap and zap test indicated that there was no residue lye, so I used it right away and I loved it's fine creamy lather and discrete fragrance of coconut and cocoa.